Although Hue is no longer the capital of Vietnam (1802 – 1945), many Vietnamese still highly rate this quiet city as a centre of historical and cultural value. Within walking distance of Moonlight Hotel Hue are numerous important attractions such as Citadel, pagoda and traditional crafts, as well as some of the best restaurants, bars, spas and boutiques the city has to offer. Each weekend the area comes alive with the Walking Street, a weekly activity featuring local crafts, arts, souvenirs, local and local food, guests of Moonlight Hotel Hue have merely to step out of the hotel lobby to join the fun! 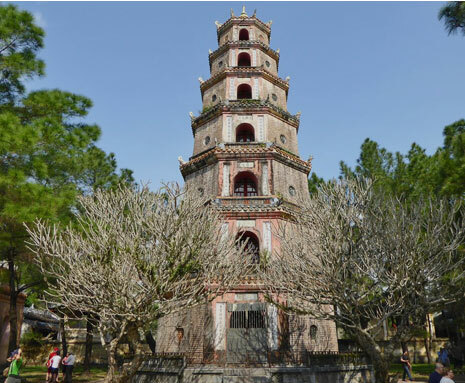 Option 1: Visit Citadel, then continuously the famous Thien Mu Pagoda. On the way back, stop at typical Garden House An Hien. 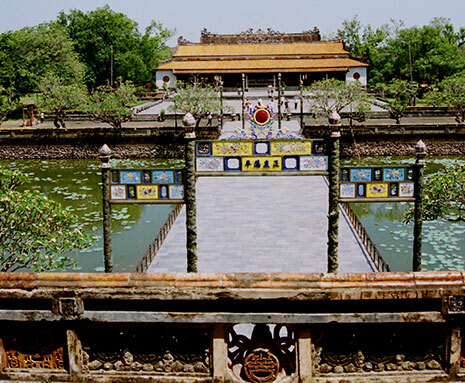 Option 2: Visit most popular attractions: Citadel, Thien Mu Pagoda and Temple of Literature.